I've been getting 3B Box for about a year now and have come to a couple of conclusions: 1) I will never go without a cleansing oil again. Ever. I have an oily face and cleansing oil has done wonders for stopping the blackheads and breakouts. I have 3B to thank for introducing me to this godsend. 2) I love emulsions but absolutely hate emulsion sample packaging. More on this in a bit. Hera Waterin Gel Serum - This brand is new to me and according to their website, this serum contains pinitol extract which is excellent for regulating and retaining moisture levels in plants regardless of environmental conditions. Pinitol is found in carob which apparently can survive for 25 years without water. Say whaaat? 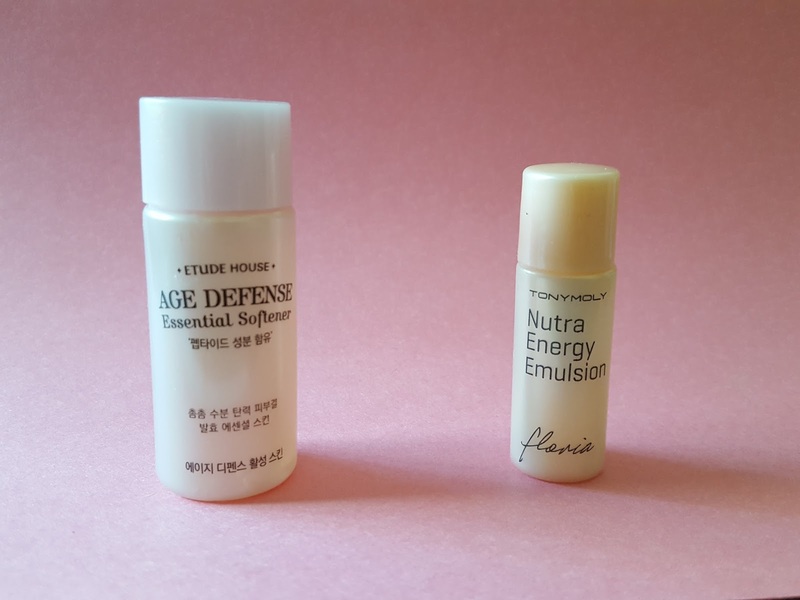 Tonymoly Floria Nutra Energy Emulsion - I. hate. emulsion. packaging. Can someone please tell me why emulsion samples, which are kind of like thin lotions, are always in an unsqueezable plastic bottle? Packaging gripes aside, the scent of this isn't too bad. I don't usually care for floral fragrances but this one is also refreshing. 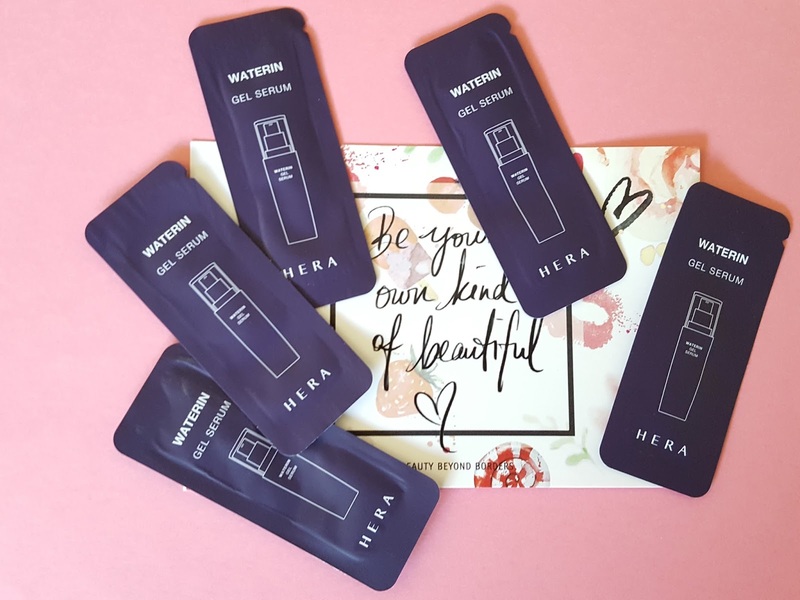 It feels light on my skin yet moisturizes without leaving it feeling tacky. Perfect thing to finish off the summer months. 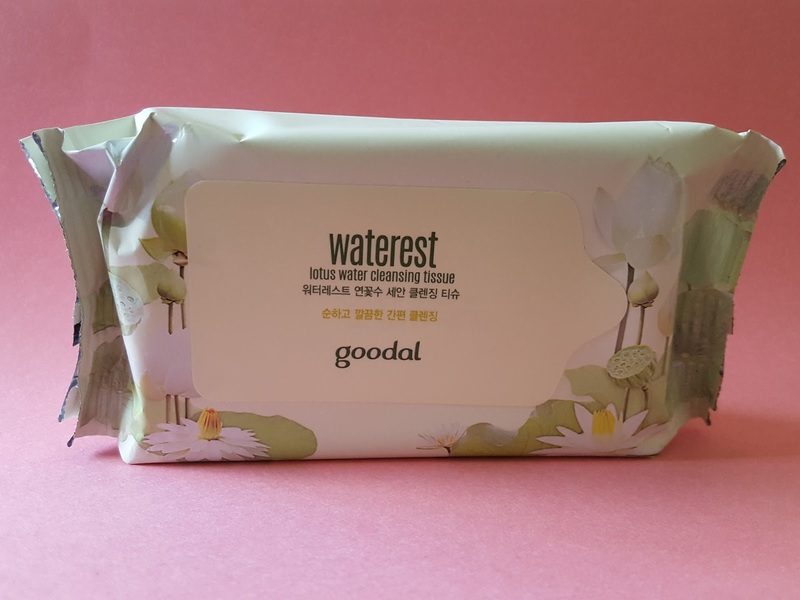 Goodal Waterest Lotus Water Cleansing Tissues - I love cleansing tissues and keep a pack in my bathroom, purse, and in my desk. They're perfect for cooling you off on hot days. Each one of these sheets is soaked with naturally fermented lotus flower water to cleanse and moisturize your skin, leaving you feeling refreshed. 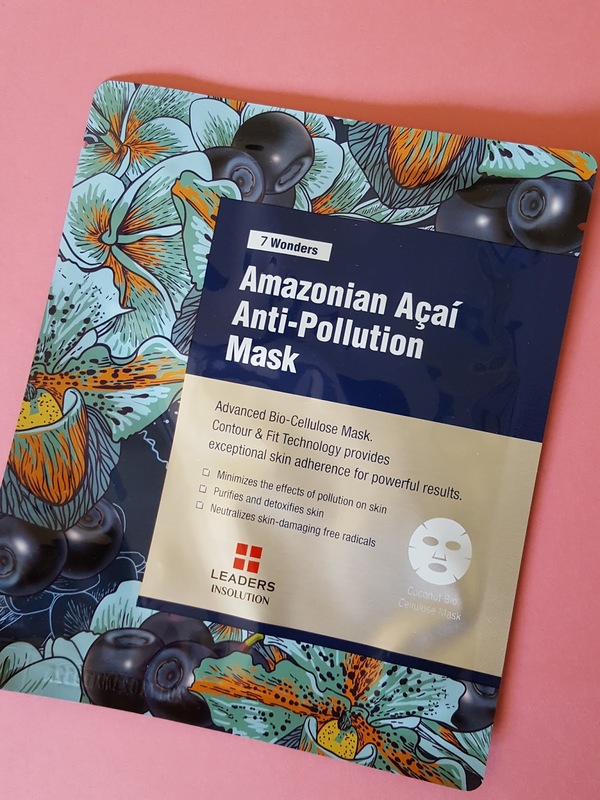 Leaders 7 Wonders Amazonian Acai Anti-Pollution Mask - Acai is a powerful antioxidant that helps neutralize the damaging effects of environmental stress on skin. According to the package this bio-cellulose mask is "drenched in a full bottle of botanical extract-packed serum." Wow. That's a lot of goodness. I like how these types of gel masks cling to every curve of my face making sure it drinks up as much of the good stuff as possible. So it seems like everything in this month's box was centered around skin hydration. I do like to keep my skin moisturized but I find that using an emulsion twice a day is more than enough to keep my skin happy. I even have to use masks sparingly because most of them are so intensely hydrating that my face will remain tacky and greasy until I wash it the following morning. Those wipes will definitely get a lot of use though, especially with how scorching this summer has been. 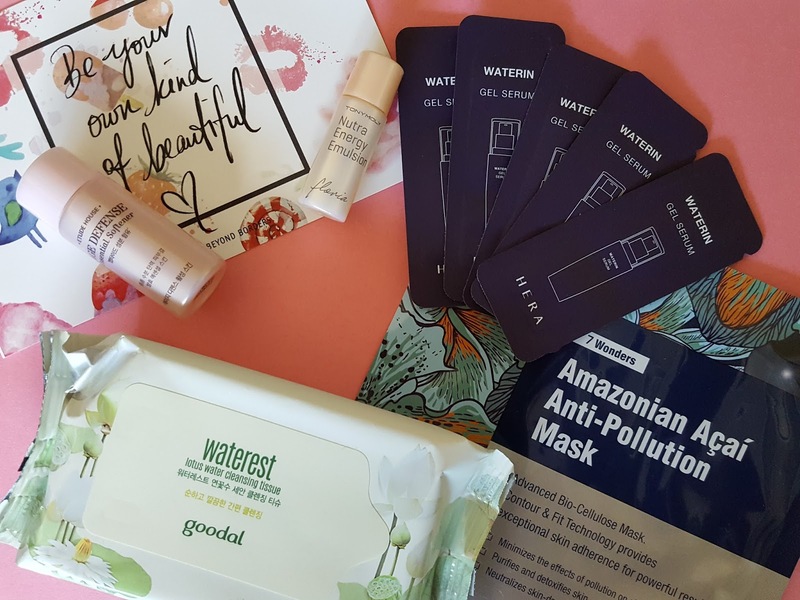 If you think you'd enjoy getting Asian beauty goodies in the mail every month, you can subscribe to 3B Box here. You'll get mostly skincare but you'll find some makeup and tools pretty often too. And for $12/month including shipping, it's one of the most affordable Asian beauty boxes out there.